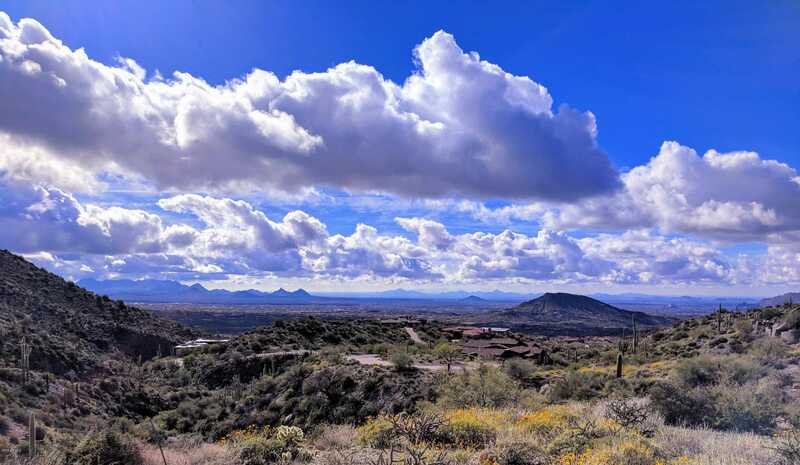 Lot 246 Saguaro Canyon within Saguaro Forest is a 9.48-acre homesite nestled in a private realm high above Desert Mountain’s Chiricahua Clubhouse. There are very few remaining lots offering views and privacy like this in Desert Mountain, if any. At night, dramatic city lights span the southern horizon and invoke a certain tranquility. During the day, the distant canyon walls and steep ravines make this lot a natural citadel. Privacy is assured. The Village of Saguaro Canyons discreetly shelters some of the most expensive homes in Desert Mountain. Come see why. Please, send me more information on this property: MLS# 5875020 – $2,495,000 – 42995 N 102nd Street, Scottsdale, AZ 85262. I would like to schedule a showing appointment for this property: MLS# 5875020 – $2,495,000 – 42995 N 102nd Street, Scottsdale, AZ 85262.